Nothing is more spectacular than cruising under the nighttime skies of the beautiful city of Boston and surrounding areas aboard the luxurious TRILOGY. Share this tranquil and amazing experience with friends and family. Call today to book your special evening. 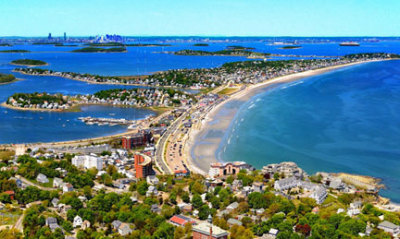 Located in the historic and picturesque seaside town of Hull, sits the Nantasket Beach Resort. 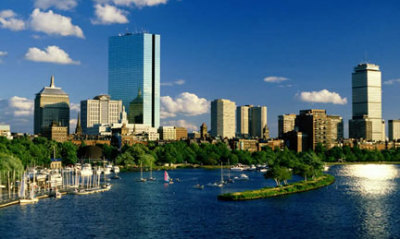 Hull is a long narrow peninsula projecting into Boston Harbor which the Plymouth Colony used to set up as a trading post with local Indians as early as 1621. 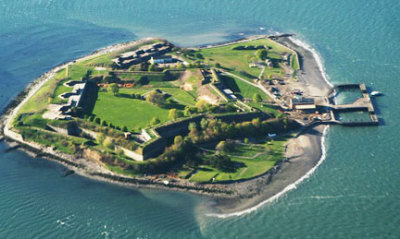 The current Fort Warren was completed in 1850. During the Civil War, the fort was armed with many cannon. Its mission was to protect the harbor, and was also used as a prison for Confederate soldiers and those deemed disloyal to the Union. 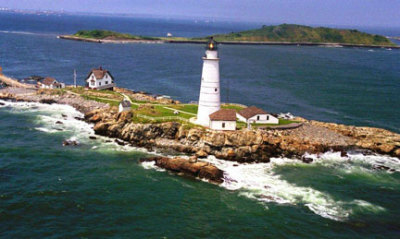 Home of the Boston Light, the country's oldest continually used lighthouse site (1716). Originally financed by a tax of a penny-a-ton on all vessels entering & leaving the harbor, the stone lighthouse was destroyed by the British but was rebuilt in 1783. The 49-acre island was composed of two small drumlins connected by a spit. The name is believed to derive from its then-resemblance to a pair of spectacles. 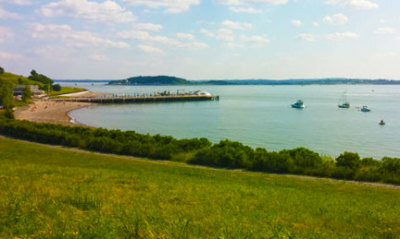 The island, one of the highest points on Boston Harbor, has a public park with a marina and walking trails. 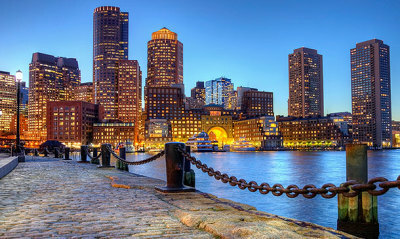 As one of America’s oldest cities, Boston is easily recognizable by its 19th-century brick row houses, narrow cobbled streets, and traditional gas streetlamps. But the city’s ubiquitous charm and character is just as apparent when viewed from afar.